There is, however, one thing predicted by sci-fi authors a while ago that still has not appeared in the real life. That is “general-purpose AI,” which can teach itself to solve any kind of task without human’s intervention beyond supplying it raw data. This kind of AI is being worked on by a few companies like Google-owned DeepMind, as well as less known ones like Czech Republic-based GoodAI, the owner of which invested $10 million of his own money made through selling games. Marek Rosa, who runs GoodAI, is better known by his other company, Keen Software House. Its most popular products are Space Engineers and Medieval Engineers, open-world games sold in about 1.7 million copies in total. By running GoodAI, which seems to be quite far away from generating revenues, Rosa is fulfilling an aspiration he’s had since he was a kid. “I was about fourteen [when I got] my first computer, I was really interested in robotics, artificial intelligence, virtual reality and game programming,” he told TNW. “I realized that […] if we solve intelligence, if we have this kind of universal intelligence, it can solve everything else for us. After a few years of working on different game titles, Rosa started GoodAI with just two developers but has been hiring actively over the past few months and is now approaching a headcount of 30. Although the two Rosa’s companies work independently, he plans to use Space Engineers as a sandbox for GoodAI’s algorithms to do some basic learning. By launching a tool called Brain Simulator and incorporating it in the game, Rosa wants to encourage players to create, teach and share their own AIs used for in-game purposes: for example, as peasant characters. Even with a 30-strong R&D team, the amount of work needed to create a truly universal AI is huge. “We have three pillars in our work,” Rosa explained. “First is to come up with a proper cognitive architecture or architectures, which can do the intelligence in specific training or testing environments. The second pillar is the right type of cognitive modules, or neural networks that can learn the relationships in data coming from the environment. At the moment, different teams at GoodAI work on separate verticals of the future AI, like control of motorics or vision. Not unlike Deep Mind’s technology, AI developed by Rosa’s team can play some simple games like Pong (the video below shows a demonstration with the game Breakout, even if it says Pong in the title). 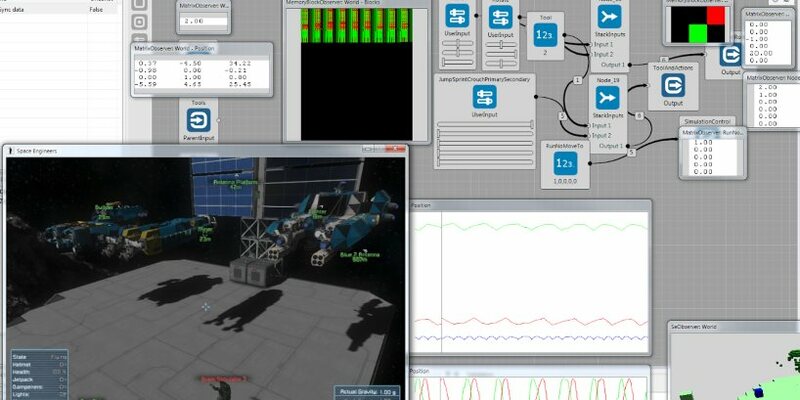 The Brain Simulator can already be downloaded from GoodAI website, while its integration into Space Engineers is supposed to take place in the next few months. That doesn’t mean, however, that the general AI the startup is pursuing will be finished any time soon. Rosa couldn’t say when he expects to see GoodAI getting close enough to its ultimate goal, while a job posting on the startup’s website suggests that the project is envisioned to last for at least 10 years.